During the holidays you find a lot of sales, but on some products the prices can go up. With everyone trying to buy presents and other festive items you want to save as much money as possible. I love DIY posts because I learn something new and I can save money if I'm on a budget. So with that being said, I don't know about you but I experience dry skin and my lips get chapped during the winter. It's important for me to keep my skin healthy looking and moisturized! So I came up with a Scrub of my own, that I wanted to share with you. Now I know there are probably others scrubs like the one I'm sharing, but this is my version. 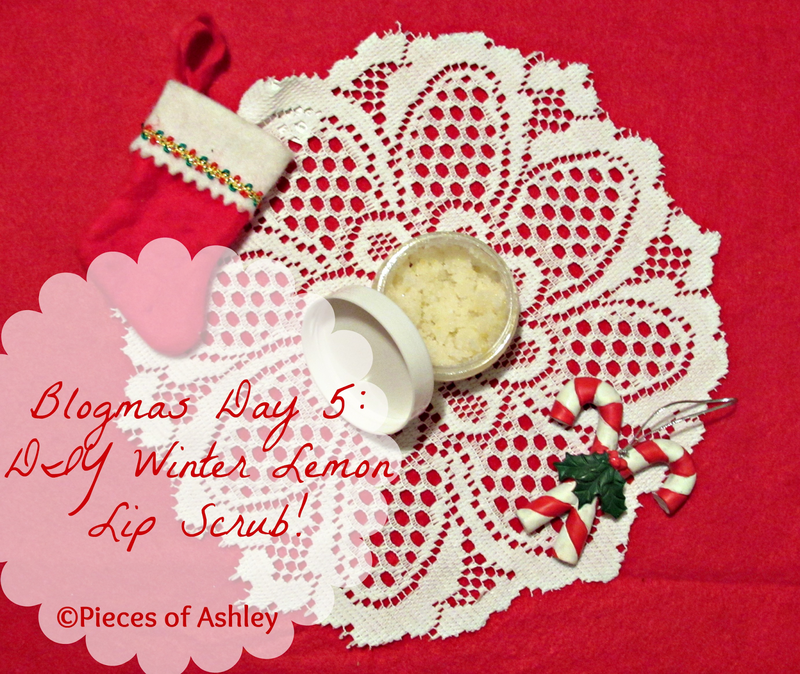 This is a Lemon Scrub that is great to use for dry chapped lip. It will exfoliate them, leaving you with a smooth feeling. The ingredients in this scrub are is the zest of a lemon, lemon juice, sugar, and olive oil. I chose to use the juice of a lemon because it great for healthy skin looking skin. I am using olive oil because it softens the skin and keep it moisturized. The lemon zest is for the fragrance or "smell" and the sugar is there to act as the actual scrub component, if that makes any sense. You can use a mason jar on a container depending on how much you choose to make. I use a small container. Side note: I brought the little containers and bottles from CVS, I believe it was about $6. There travel size bottles to put lotions, shampoos and conditioners in but I use it to make scrubs! So after you pour everything into the same container or jar mix it together and that's it. I know it's simple but it makes a huge difference. I hope you enjoyed reading and let me know what kind of homemade scrubs you like to use!